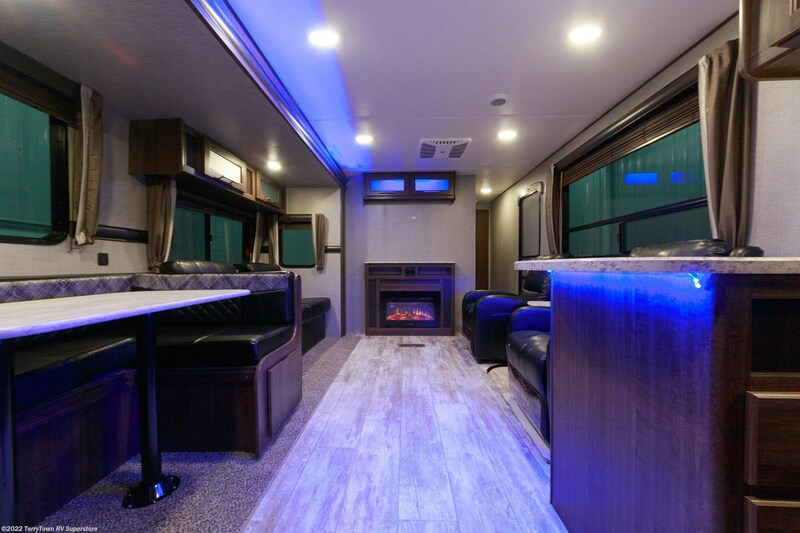 Traveling the country is fun, but it's even better when you feel at home wherever you go. 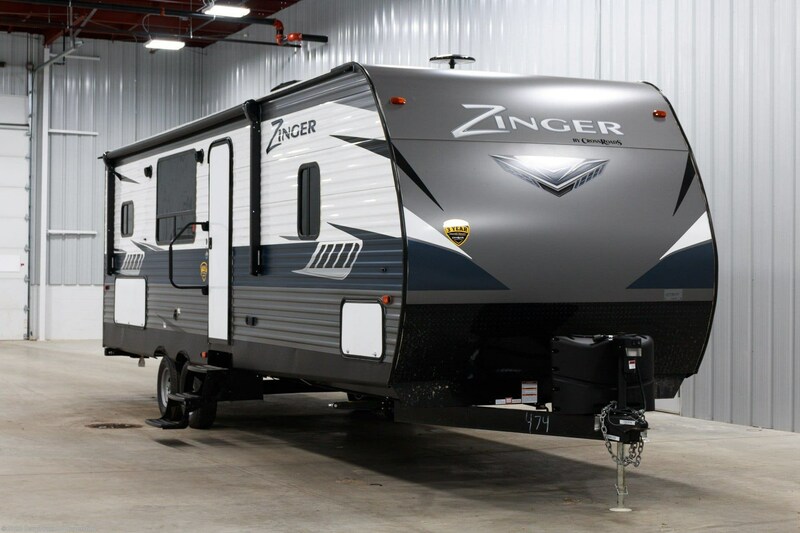 That's why you should take your trips with the lovely 2019 CrossRoads Zinger ZR280RK! 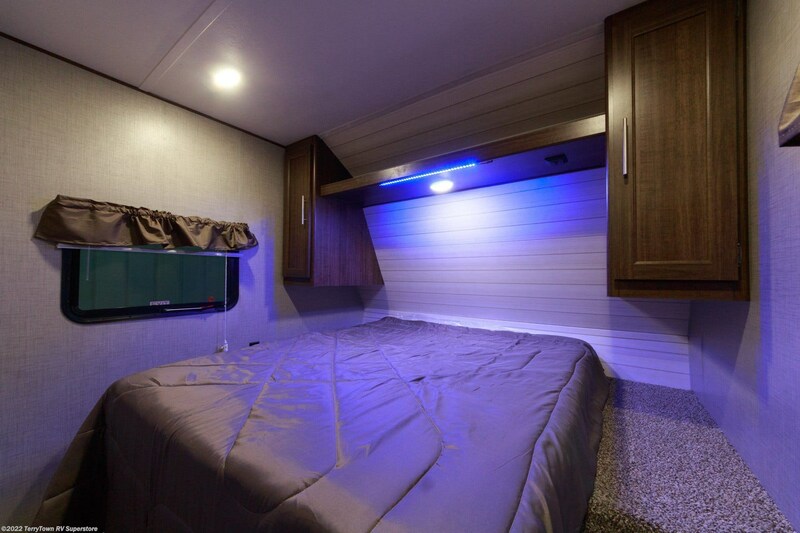 This Travel Trailer is reliable, sturdy, and comfy! 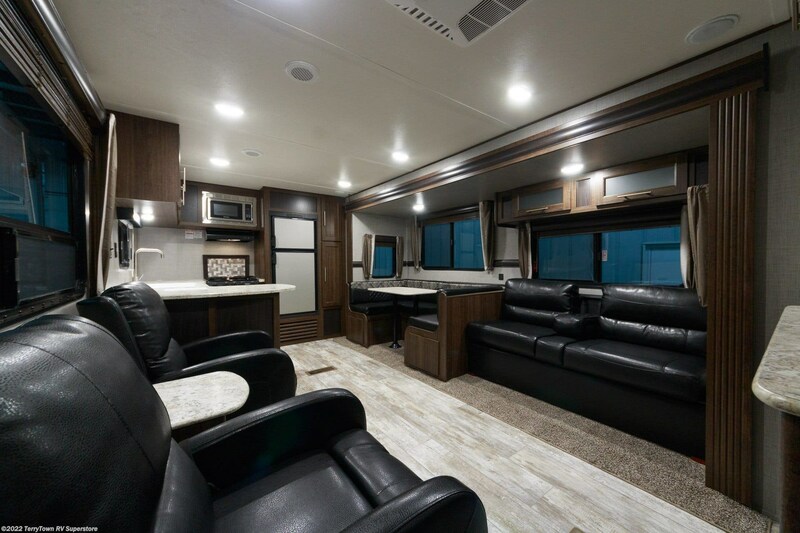 You can find this great RV at a great price at TerryTown RV, one of the largest camper dealerships in Michigan! 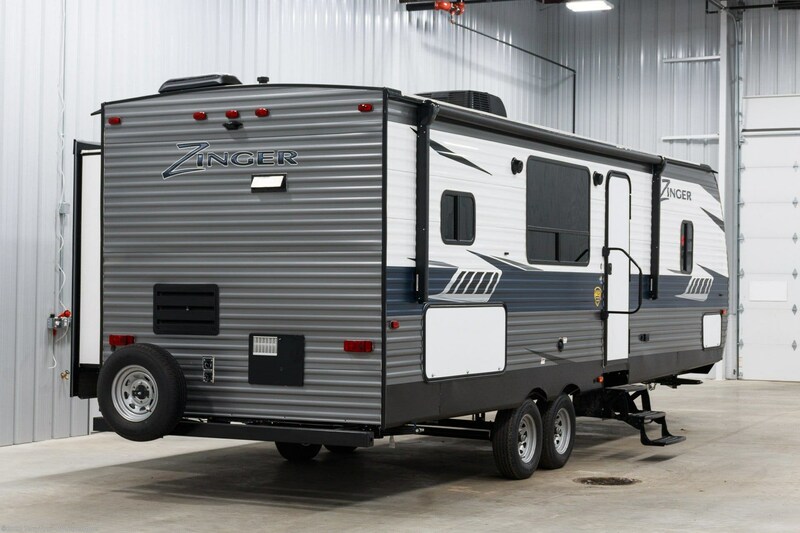 In fact, we're one of the best wholesale RV dealers in the Midwest, outfitting customers with RVs for over 40 years! 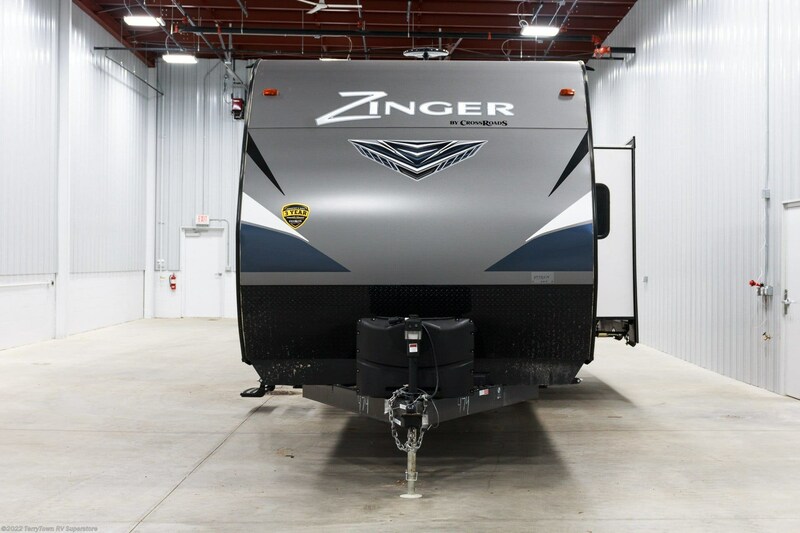 You can visit our lot at 7145 Division Ave S Grand Rapids Michigan 49548, or have us bring your selected model to you with our 24/7 nationwide delivery! 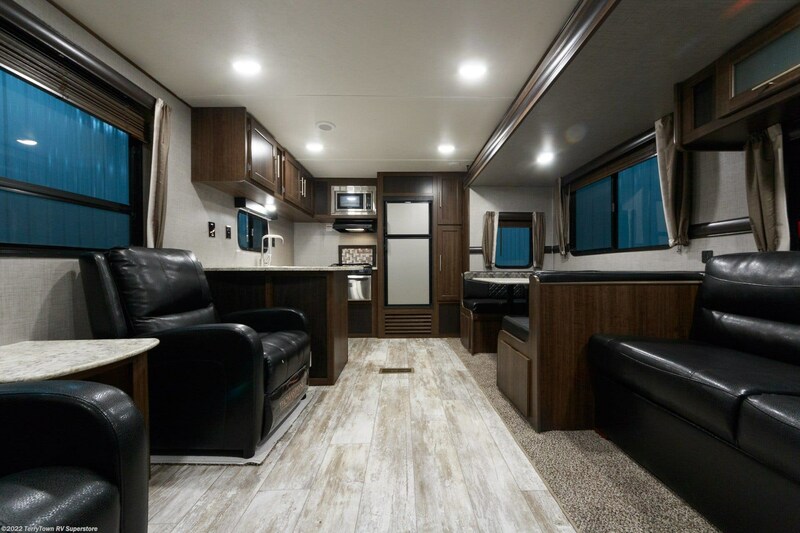 Give us a call at 616-455-5590 to talk with one of our RV experts today! 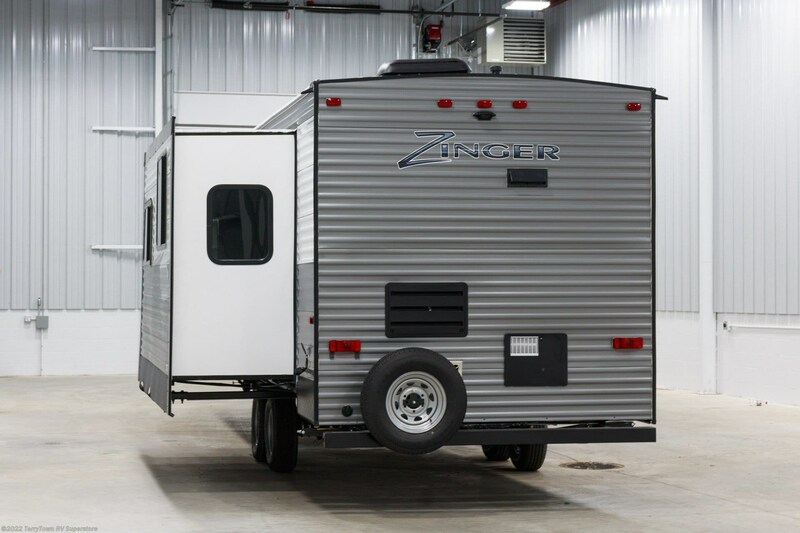 This RV is an easy tow on the road, with its hitch weight of 808 lbs. and GVWR of 9610 lbs. 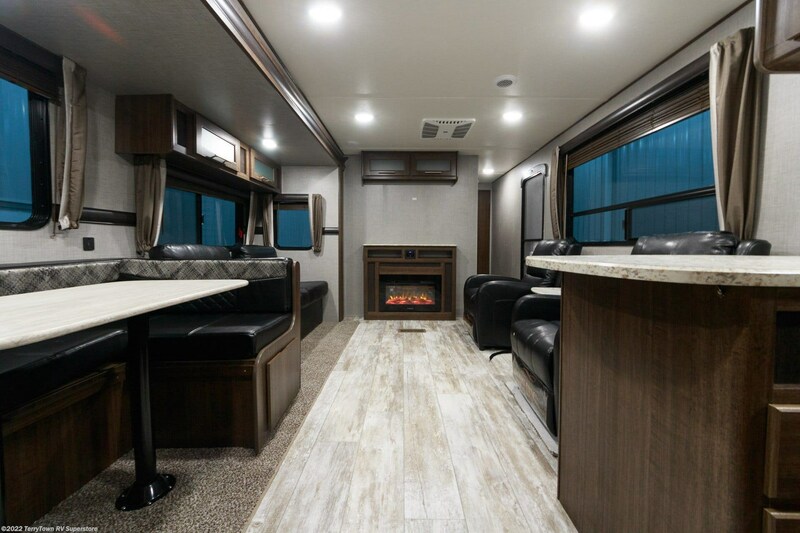 The family will love the fresh air and comfort under the 18' 0" patio awning, which is easy to open and close! 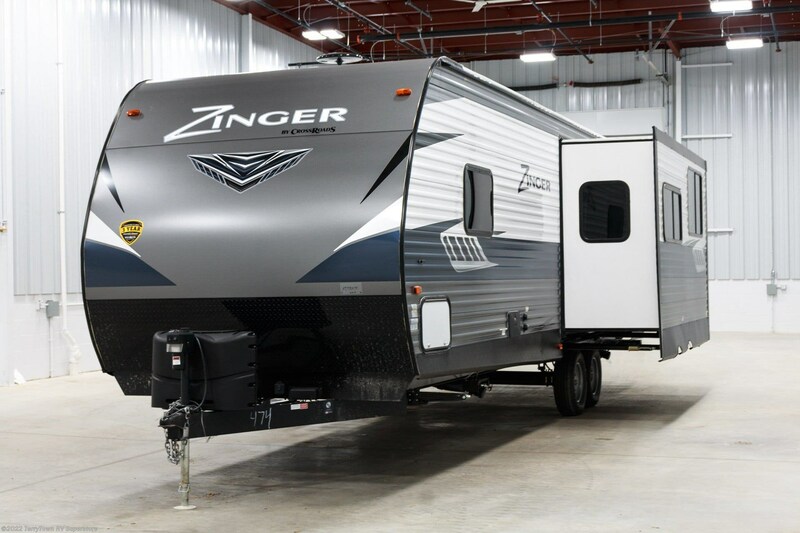 At 32' 11" long, 8' 0" wide, with 1 to maximize the interior, you'll have ample living space in the 2019 Zinger ZR280RK for the whole family! And the climate will be perfect no matter what the temperature outside is, thanks to the efficient 25000 BTU furnace and the modern 8000 BTU a/c unit! 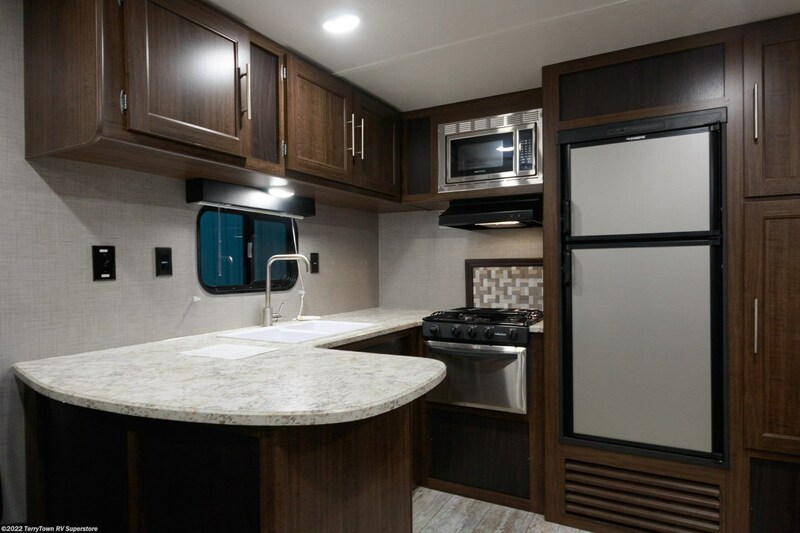 Tasty meals are easy to make in this camper's kitchen, with its 6.00 cu. 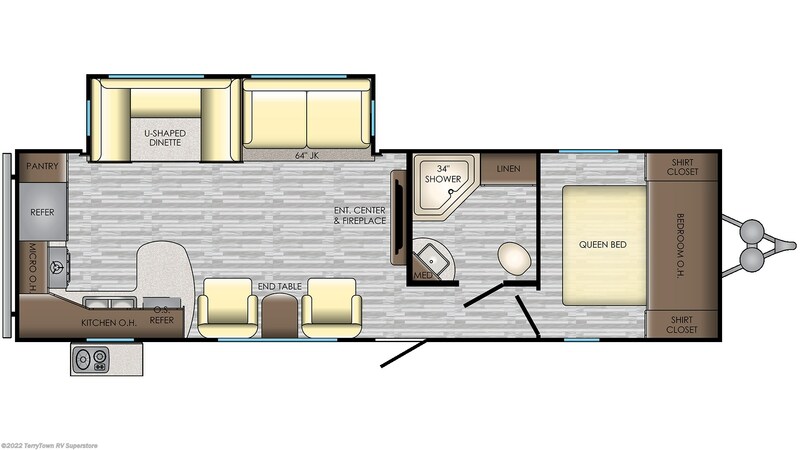 ft. refrigerator and 3 burner range cooktop! The 51 gallon fresh water tank provides enough fresh, drinkable water for the whole family! 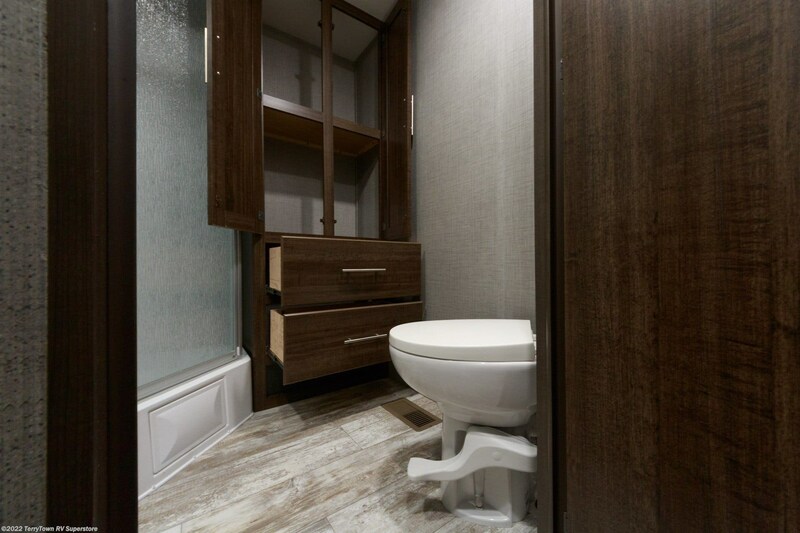 Sick of those gross encounters at the communal restroom? 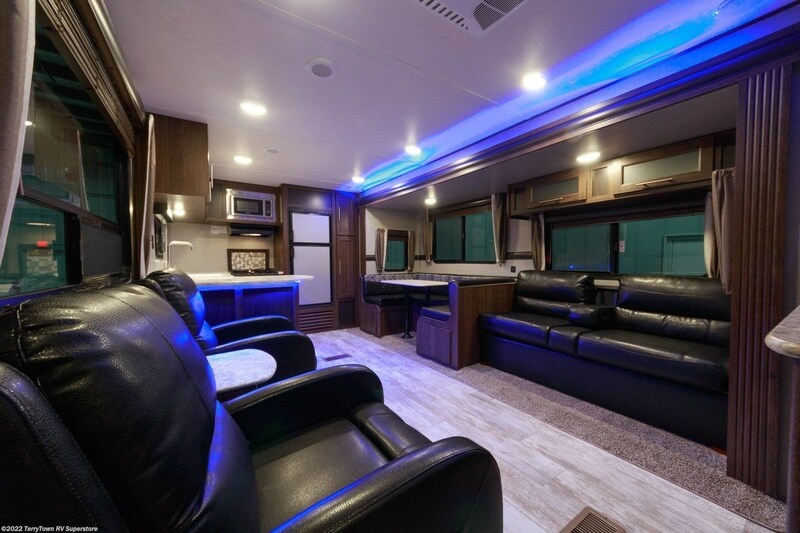 Wish you never needed to make that trip again? 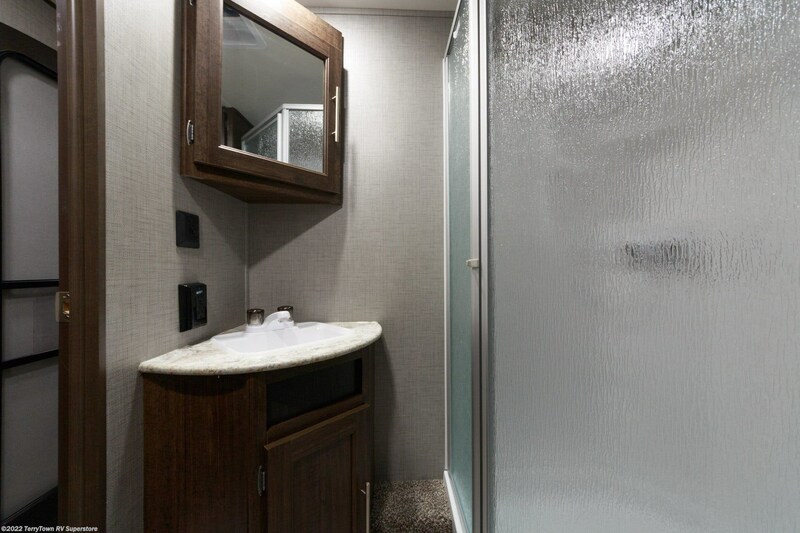 Then you'll love the fact that this RV has a full bathroom, complete with a shower and a Porcelain Foot Flush toilet! Since there are 40 lbs. of LP tank capacity, you don't have to have any worries about the shower going cold! 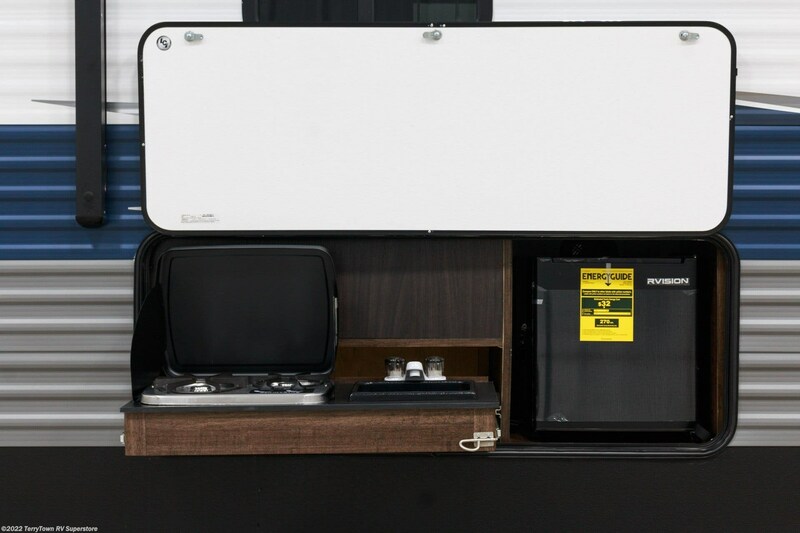 You don't have to deal with your waste and used water while you're having fun on vacation, thanks to the 88 gallon gray water tank and the 44 gallon black water tank.andnbsp;Get that delicious outdoor taste in all the food you cook and grill outside, thanks to this camper's awesome outdoor kitchen! 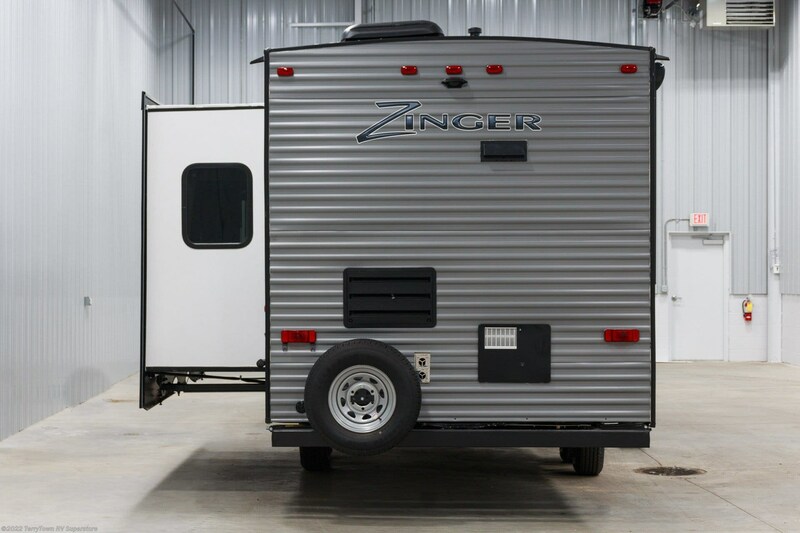 Check out Stock # 34899 - 2019 CrossRoads Zinger ZR280RK on crossroadsrvsource.com!